The Palestinian Prisoners Society (PPS) has reported that the Israeli army invaded, Thursday, several Palestinian districts in the occupied West Bank, searched and ransacked homes, and kidnapped at least fourteen Palestinians. 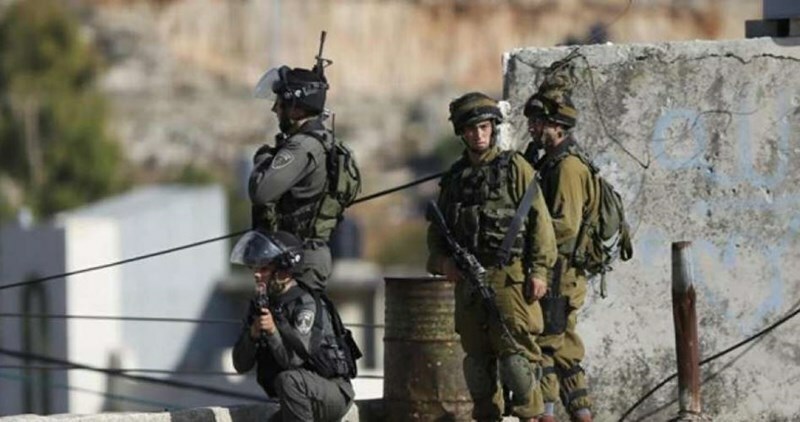 The PPS said the soldiers invaded several towns in Hebron, and kidnapped five Palestinians, identified as Amjad Akram Rajabi, 22, Mohammad Abu Sneina, Firas Fayez Rajabi, Ahmad Majed Hmeidat, 22, and Talab Othman Abu Fara, 35. The soldiers also invaded the northern West Bank district of Jenin, and kidnapped four Palestinians, identified as Mahmoud Amin Farahati, Mohammad Sa’id Sweity, Mohammad Mitleq Sa’adi and Omar Nayef Sa’adi. In addition, the soldiers kidnapped two Palestinian women, identified as Dalal Hashlamoun and Aida Saidawi, in occupied Jerusalem. The PPS also stated that the soldiers kidnapped Majdi Suleiman ‘Ataya and a child, identified as Ismael al-‘Anqawi, 11, in the Central West Bank district of Ramallah and Al-Biereh. Another Palestinian, identified as Yousef Shehada Khalil, 21, from Nour Shams refugee camp, in the northern West Bank district of Tulkarem, was kidnapped at ‘Ennab military roadblock, after the soldiers stopped his car. 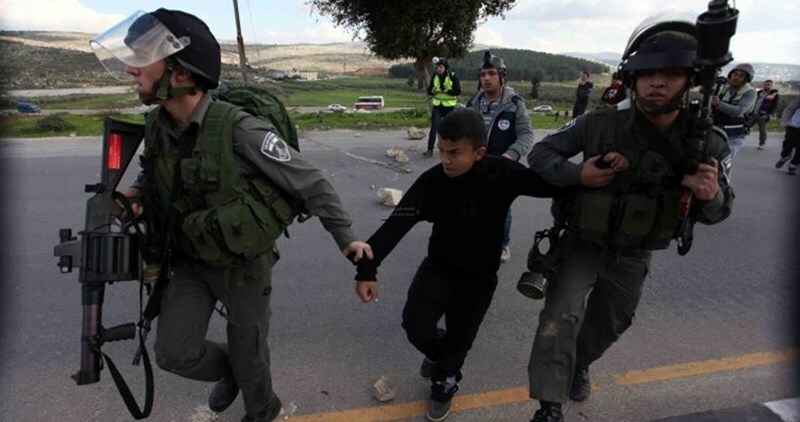 The Israeli occupation forces (IOF) on Thursday kidnapped six Palestinian young men in different West Bank areas. Local sources told the Palestinian Information Center (PIC) Israeli soldiers set up a roadblock on the main street of Qalqiliya near al-Fundoq town, stopped a young man identified as Mahmoud Najem as he was en route to his workplace and took him handcuffed to an undeclared place. 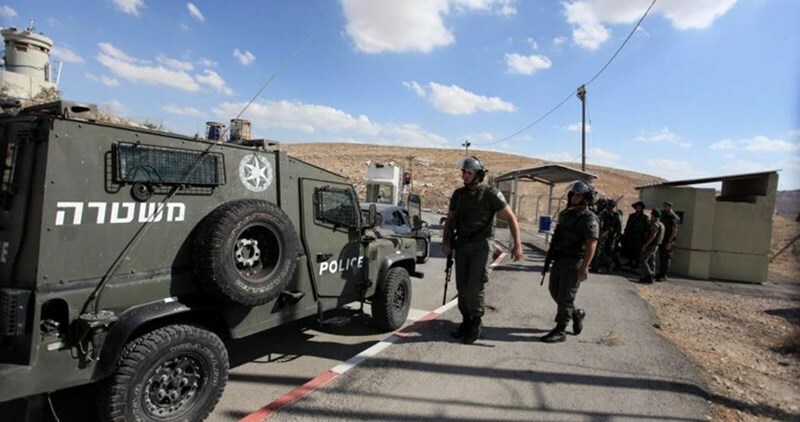 Other eyewitnesses reported seeing soldiers detain an unidentified young man at Awarta checkpoint, south of Nablus city, after ordering him to leave a vehicle he was aboard. 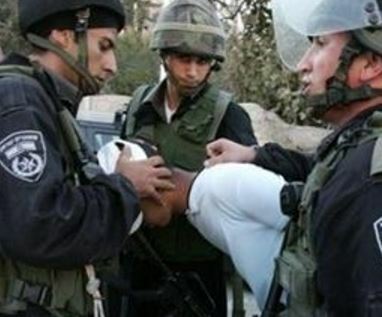 Four other young people were kidnapped on the same day during an IOF campaign in Jenin city. The PIC was told that Israeli troops stormed the eastern neighborhood of Jenin and kidnapped Mohamed al-Sa'di, Mohamed Suwaiti, Mahmoud Frahti and Omar al-Sa'di. Local sources said the troops ransacked the homes of the four detainees, pointing out that the city is exposed to regular overnight raids by the IOF. Palestinian children detained in Ofek detention center are forced to work for long hours for very low wage, Palestinian sources revealed. The Palestinian woman Aida Taqatqa, from Bethlehem, said that her detained 16-year-old son told her that the Ofek detention center administration forces Palestinian detained children to work for six hours per day in profit of an Israeli private society for less than 4 dollars. Taqatqa said that her son is held in Ofek detention center along with his uncle amid very difficult detention conditions. Each three prisoners are held in a very small room, she said. The representative of the PA committee for prisoners’ affairs Munqid Abu Atwan warned of the seriousness of Taqatqa’s statements. Such statements need an urgent action from human rights organizations, he said. Abu Atwan said that forcing prisoners to work is "a form of slavery.” The committee will send a lawyer to Ofek detention center to check on the detained children's detention conditions. The Israeli Navy Forces arrested Thursday afternoon two Palestinian fishermen while sailing off Gaza shores. 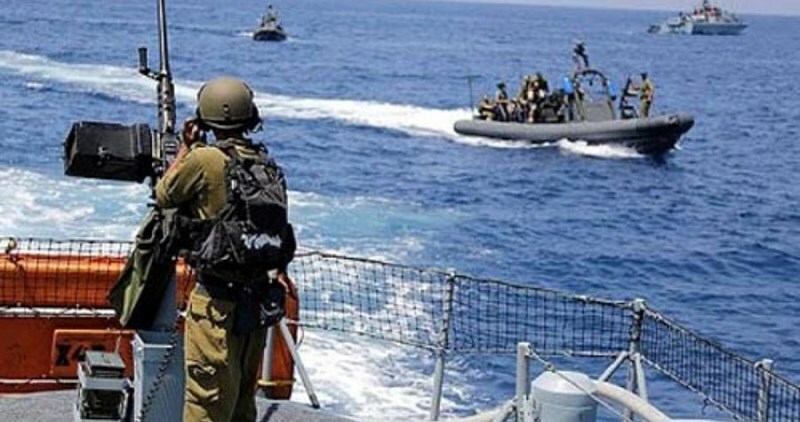 Chairman of the Palestinian fishermen syndicate, Nizar Ayyash, affirmed to the PIC that Israeli naval forces arrested two Palestinian fishermen while sailing within the allowed nine nautical miles at Gaza Sea. Ayyash identified the two detained fishermen as Iyad Olwan and Raed Abu Odda from Khan Younis south of the Strip. Ayyash called for the immediate release of the detained fishermen. Last week, Palestinian fishermen set sail within nine nautical miles at Gaza sea following an Israeli decision to extend the fishing zone off some parts of the Gaza Strip coast. As part of Israel's blockade of the coastal enclave since 2007, Palestinian fishermen have been forced to work within a limited six-nautical-mile fishing zone off Gaza coast. Israeli Occupation Forces (IOF) arrested Thursday morning two female Jerusalemite sit-inners at the Aqsa Mosque after storming their homes in Occupied Jerusalem. Amjad Abu Asab, head of the committee of families of Jerusalemite prisoners, revealed that the arrested women were identified as Aydah al-Sidawi and Dalal al-Hashlamoun, 27. Israeli forces wreaked havoc in the homes of both Jerusalemite sit-inners and confiscated mobile phones and some other belongings, he pointed out. Both women are denied their right of entering the Aqsa Mosque as their names are listed in the Israeli ban of entry blacklist, Abu Asab said in a statement. Israeli aggressive practices against Jerusalemites have recently escalated as the Jewish Passover holiday is approaching in an attempt to pave the way for the largest number of settlers’ incursion into the Muslims’ holy site of al-Aqsa Mosque. The Israeli occupation forces (IOF) at dawn Thursday rolled into al-Khalil’s southern neighborhoods and wreaked havoc on Palestinian homes. The IOF soldiers stormed the family house of citizen Muhammad Fayez al-Rajabi and rummaged into it before they forced the native inhabitants out. The soldiers further handcuffed the house owner and dragged him to an unidentified destination. IOF units also stormed Wadi al-Saman area, in southern al-Khalil, and ravaged civilian homes. A number of Palestinians were summoned for interrogation in the Israeli Etzion camp shortly afterwards. The IOF soldiers later broke into house of prisoner Sahban al-Titi in the Fawar refugee camp, in al-Khalil, and took measurements of the building, paving the way for a demolition procedure. Meanwhile, the Ofer military court sentenced the Palestinian journalist Musaab Kufeisheh, from al-Khalil, to four months in administrative detention, without charge or trial. The Ofer court also sentenced the youngster Harun al-Ajlouni and Hazem Abu Hudwan, both from al-Khalil, respectively to one year and a half and 10 months in jail. Both were also sentenced to pay a three-thousand-shekel fine. Reporting from the city, a PIC correspondent said the IOF sealed off the northern entrance of al-Khalil with a military checkpoint and searched all passing vehicles, blocking Palestinians’ movement inside and out. The IOF further carried out military maneuvers in Dura city, to the southwest of al-Khalil. Sounds of explosions and heavy gunfire were heard in the area while Israeli jets have been hovering over the territory since predawn time. 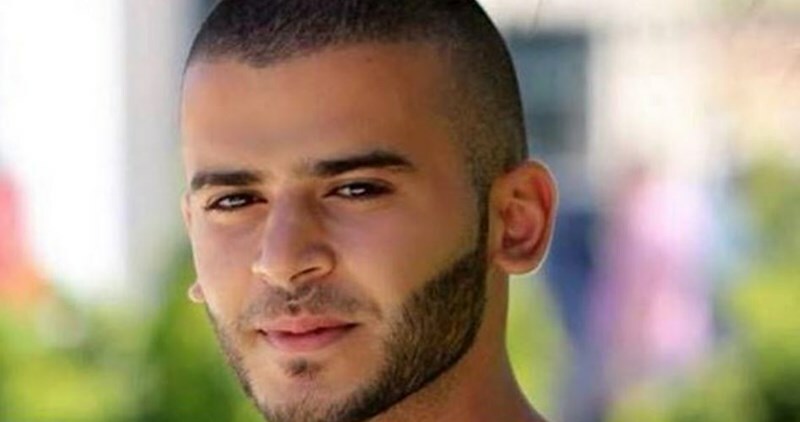 The administration of Israeli Negev prison transferred the Palestinian captive Adib Mafarjeh, 28, from Beit Leqiya to the west of Ramallah, to isolation cells in Beersheba in order to pressure him to end his hunger strike he started four days ago. 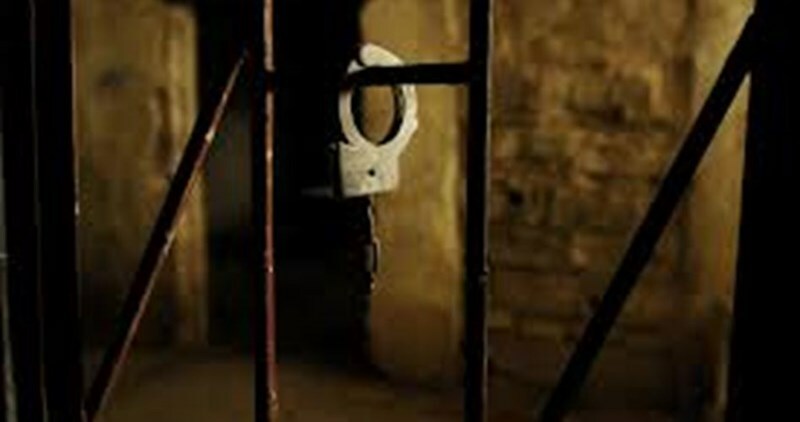 Riyad al-Ashqar, researcher in prisoners’ affairs, said that detainee Mafarjeh started his hunger strike in protest at being held under the illegal administrative detention with no trial or charge and in demand not to renew his detention order under which he has been detained for 16 continuous months. 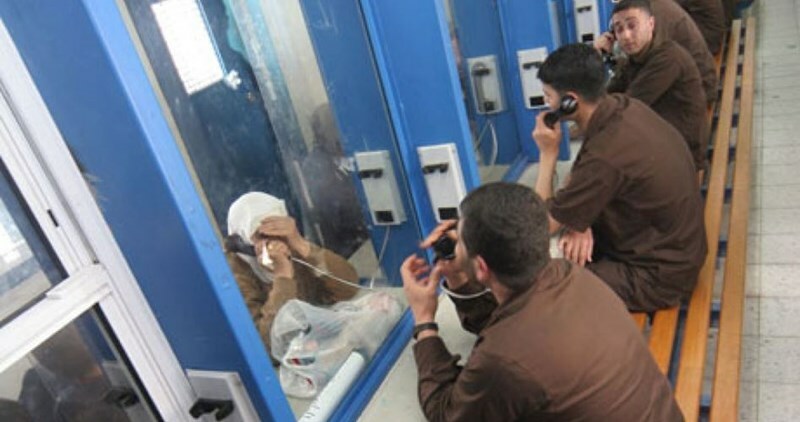 Ashqar revealed that the Israeli measure of isolation is pursued with all Palestinian hunger striker prisoners in order to push them to end their strike and to tighten the noose on them as a punishment for their decision. Researcher Ashqar called on all popular and official institutions as well as the Palestinian people to support the prisoners especially on the upcoming event of Palestinian Prisoner Day which falls on April 17. Palestinian prisoners on Wednesday evening suspended their protest moves announced 10 days earlier after some of their demands were met by the Israeli prison service (IPS). 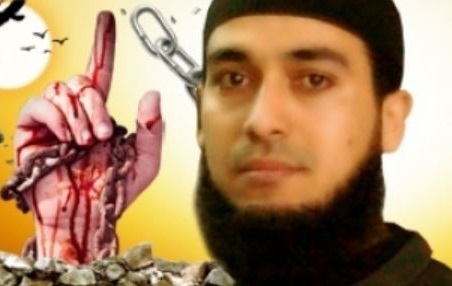 The Islamic Jihad prisoners’ committee said the agreement stipulates that prisoner Nahar al-Saadi would be transferred from the Shabak solitary lock-downs to an isolated cell run by the IPS. The committee further demanded that al-Saadi’s isolation be ended after three months. The IPS also succumbed to a series of demands by the prisoners’ committee to end the isolation of a number of detainees and transfer others to other prisons. The IPS reportedly agreed on a demand to open three new cells for Islamic Jihad detainees in the Ramon jail sections due to overcrowding. The committee also said the IPS agreed to lift the ban on the entry of books for Islamic Jihad detainees. The deal is to be put into effect following the consent of prisoner Nahar al-Saadi, the committee added. The Israeli police on Wednesday kidnapped five Palestinian youngsters from different areas across the occupied Palestinian territories. Two Palestinians were kidnapped by the Israeli police in Beersheba city, in 1948 Occupied Palestine. 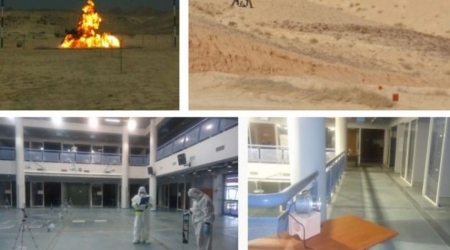 Israeli police officers on patrol in the central bus station area of Beersheba arrested two Palestinian brothers aged 17 and 19 who turned out to be natives of al-Khalil city, Israeli police reported. One of the brothers was clothed like a rabbi. 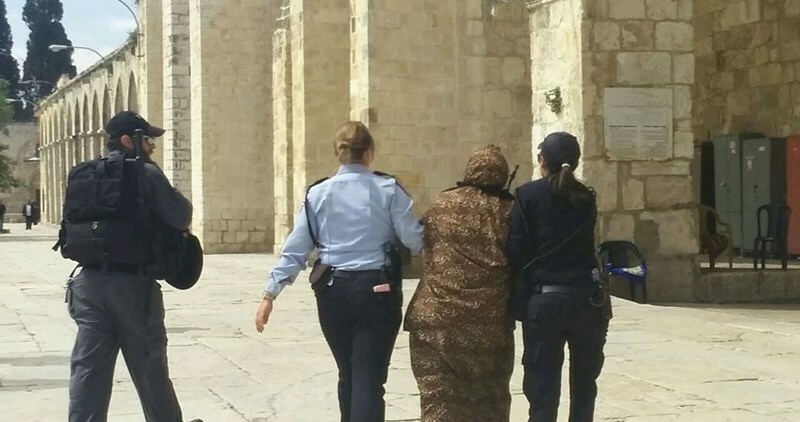 The occupation police further arrested a Palestinian girl and a youth on their way out of Muslims’ the holy al-Aqsa Mosque, in Occupied Jerusalem, before they dragged them to an Israeli investigation center. Another Palestinian youth was kidnapped by the Israeli occupation army near western Ramallah, in the central West Bank, on allegations that he attempted to throw Molotov cocktails. 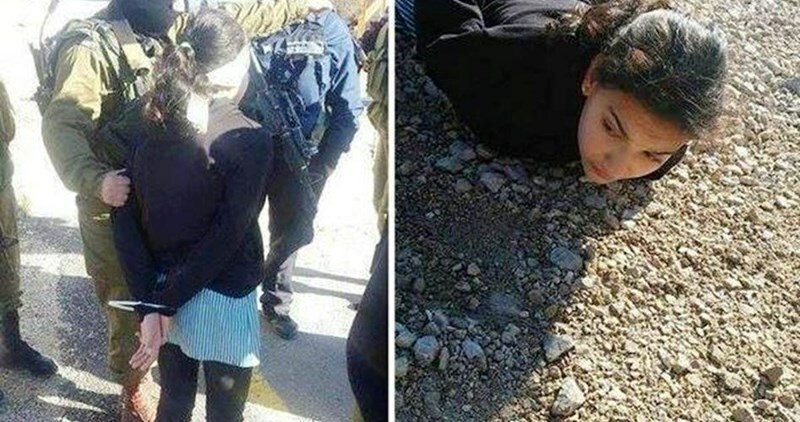 The family of the Palestinian 12-year-old girl Dima al-Wawi demanded on Tuesday her immediate release from Israeli jails. An Israeli military court convicted Dima last February for attempting to stab a settler using a knife. She was caught by a security guard at the entrance of Karmi Tsur settlement, according to the indictment. The Palestinian girl Dima, who is the youngest female captive in Israeli jails, was sentenced to 4.5 months of actual imprisonment in addition to an 8000-shekel fine. The family’s demand came within a campaign led by lawyers and activists in human rights organizations for the release of the child. They all underlined that sentencing the girl is illegal and runs contrary to the international law as well as to the Israeli law which does not allow the imprisonment of any minor below 14 years old. Palestinian detainee Yosri al-Masri received an Israeli medical report diagnosing a cancer disease infecting his liver, lung, and mandible. Yosri’s brother, Yasser, said he was told by the Israeli prison service that the detainee will be brought before the court of appeal on April 23. The brother added that Yosri appealed for his release as he has served two-thirds of his allotted sentence and has been diagnosed with deadly diseases. Cancer-stricken Yosri is serving a twenty-year-prison-term on charges of involvement in anti-occupation activism. 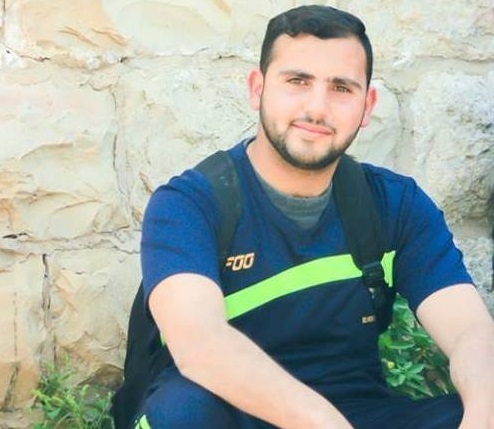 A sharp health deterioration also rocked the body of prisoner Azmi al-Nafaa, accused of involvement in an anti-occupation car-ramming attack at the Zaatara checkpoint some four months ago. 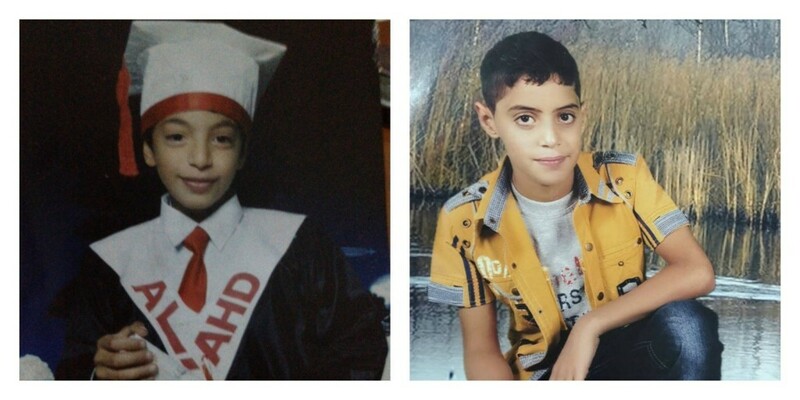 Al-Nafaa was transferred to the Ramla prison clinic due to his health exacerbation. The detainee is reportedly in urgent need of jaw and hand surgeries due to the serious injuries inflicted by Israeli bullet fire. In a related context, the Israeli intelligence has been incarcerating prisoner Abdullah al-Maghrebi in the Ramla solitary lock-down since January 16, 2016. Al-Maghrebi’s lawyer said the detainee had gone on a hunger strike in protest at his isolation and that he suffers diabetes and needs four insulin shots per every single day. 28-year-old administrative detainee Adeeb Mafarjeh has gone on an open-ended hunger strike in the Israeli Negev jail in protest at being held without charge, while a 15-year-old child has been subjected to harsh torture in another prison. Spokesperson for the Palestinian Center for Prisoners Studies, Reyad al-Ashkar, said detainee Mafarjeh, arrested on December 10, announced on Monday his decision to go on a hunger strike to protest being held administratively, with neither charge nor trial, for 16 months running. The Palestinian Prisoners Society (PPS) also raised alarm bells over the harsh torture endured by 15-year-old Malek al-Faroukh and Luay al-Amour, 18, at the Israeli Etzion lock-up. Lawyer Jacqueline Fararjeh said both Luay and Malek have been subjected to heavy beating during the detention phase. She added that Luay suffers from a foot injury inflicted by Israeli bullet fire. The occupation wardens also aggressively beat Malek on his head and burned him with cigarette ashes while he was handcuffed and blindfolded. Israeli Intelligence Services (Shin Bet) summoned Tuesday the female journalist Diyala Jowayhan for investigation in Maskoubiya prison east of occupied Jerusalem. According to Quds Press, agents of the Israeli Intelligence Service stormed Diyala’s house in Silwan town east of occupied Jerusalem and summoned her for investigation next Sunday. 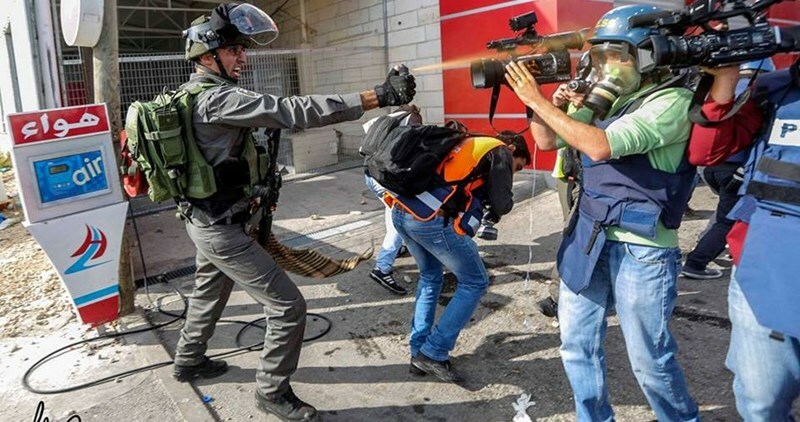 Diyala, a journalist at al-Hayat al-Jadida local newspaper, was summoned for investigation more than once for covering events in occupied Jerusalem. Meanwhile, the Shin Bet claimed the arrest of a Palestinian cell for being involved in shooting attack near Salfit city north of occupied Jerusalem. Israeli 0404 website said that three Palestinians, from Ramallah, were detained for being allegedly involved in a shooting attack at an Israeli settler’s car on February 5 near Salfit. The three detainees were identified as Abdullah Aruri, 30, Hamada Aruri, 30, and Saleh Aruri, 23. The website claimed that the three detainees confessed during interrogation of buying weapons from a Palestinian dealer in northern occupied West Bank. The 0404 website also said that another young man identified as Imad al-Khuli was arrested on March 23 near Qalqilia for attempting to carry out a shooting attack. The Israeli Magistrate Court refused on Tuesday to release the Palestinian youngest prisoner in Israeli jails. The Magistrate's Court ruled that the 11-year-old Ali Alqam from the Shuafat refugee camp will be sent to a Ministry of Welfare supervised residence for approximately one year, Yediot Ahranot Hebrew newspaper said. The court censored the majority of the ruling's details because the defendant has not reached the legal age of criminal responsibility, 12, the newspaper said. After concluding his physical rehabilitation treatment at the Hadassah Ein Kerem Medical Center, the young detainee was sent to a Ministry of Welfare supervised residence, where he can leave for short vacations and his parents can visit him, the newspaper said. In a year, the Magistrate Court will hold another hearing on whether or not he needs to stay at the supervised residence, taking into account the evaluations of Ministry of Welfare officials. On the other hand, the lawyer Youssef Hadad said that the court postponed the hearing of Ali’s cousin Muawiya Alqam, 14, who was also arrested during the incident, till April 18. Muawiya refused to stay in a Welfare supervised residence and preferred to be held in HaSharon prison to be then moved to Megiddo prison. The two boys from the Shuafat refugee camp were charged of carrying out a stabbing attack on the light rail train in occupied Jerusalem’s Pisgat Ze'ev neighborhood on Nov.10, 2015.